Guest Post – Thoughts on shaving cream and recycling! It’s August and after one month hiatus, we are BACK! This month I am fortunate to be able to start off with a guest post from my good friend – @RONRANCOURT – owner of the blog “To Sustainability“. You should check him out!! Here’s a little tip on shaving cream, for guys and for gals. It was just after we moved to Chelsea when I looked down at my can of Gillette shaving cream and decided I wanted an alternative. Each can only lasted me a month or two, and once it’s done it had to be recycled. Recycling isn’t as great as it is made out to be – it requires lots of energy, water during processing, and fuel for transport. (Once sorted, Ottawa’s recycling goes to companies in Ontario, Quebec and the US link: http://ottawa.ca/residents/recycling_garbage/recycling/what_happens_en.html) Also, a plastic bottle can never be recycled into another plastic bottle. It’s always downgraded to a cheaper, poorer grade product. So in a sense, recycling is not sustainable. I wonder if shaving soaps are good for women too ? I may have to try that. Of course waxing is probably more eco-friendly (no plastic razors to throw out) but I don’t always find the time ! I think you would have no problem at all with the “men’s” shaving soap. Do you really think there is any difference in mainstream men’s and women’s shaving soaps/gels? Nothing except for color and fragrance (and what is that fragrance anyways??!). I haven’t had much of a chance to look at such products in the natural food stores yet but I plan to at some point. Maybe I can work on this after I get through all natural deodorants! I say just go ahead and buy some as a present for your hubbie and leave it in the bathroom! Thanks for writing and let me know how things go! Nice! I get my shampoo bar at Market Organics! Thanks for writing! 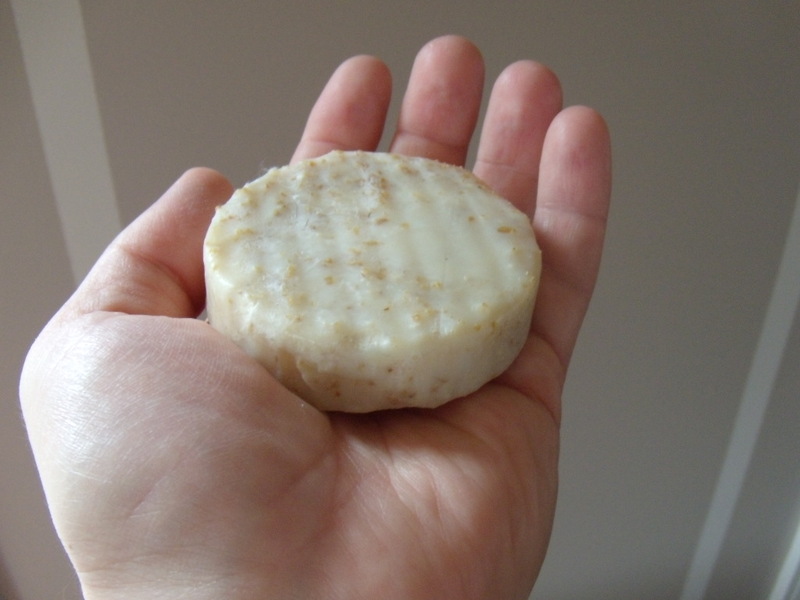 Which shampoo bar are you using – the white one from Pure Soapworks?